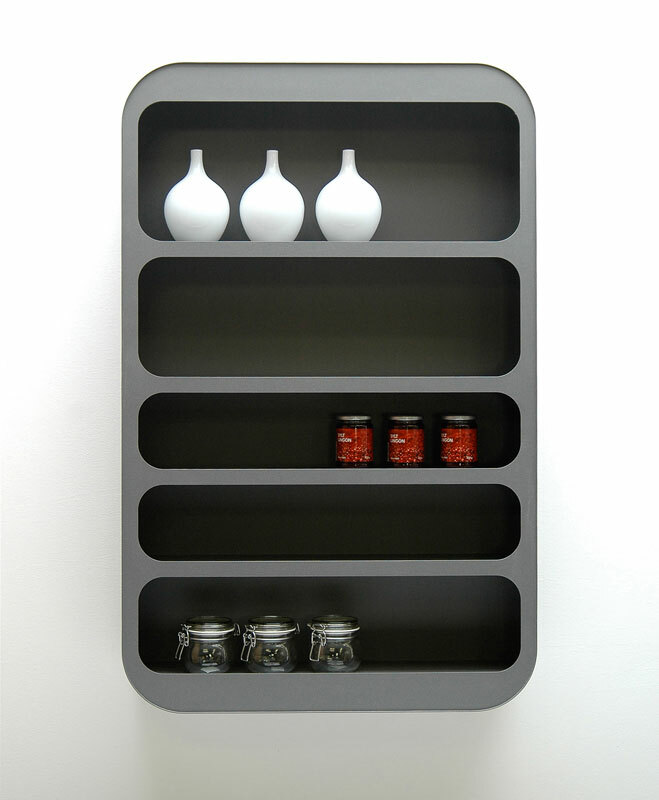 Shelf SR02 is made out of 1,5mm steel-sheeds. The parts are laser cut and welded. Shelf SR02 is powder-coated. It is invisibly fixed to the wall by a holding rail.